Maintenance and Care For Safety Covers! 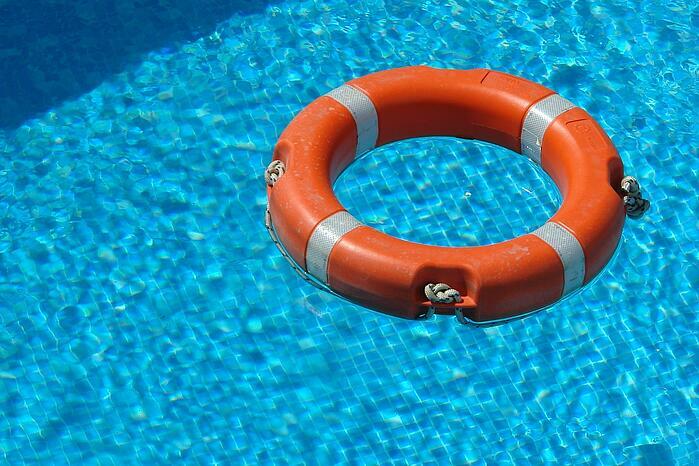 Safety Covers must always stretch tightly across the swimming pool. After the initial installation, some stretching may occur. The springs on the safety cover should be compressed 50%, you may need to readjust the straps. 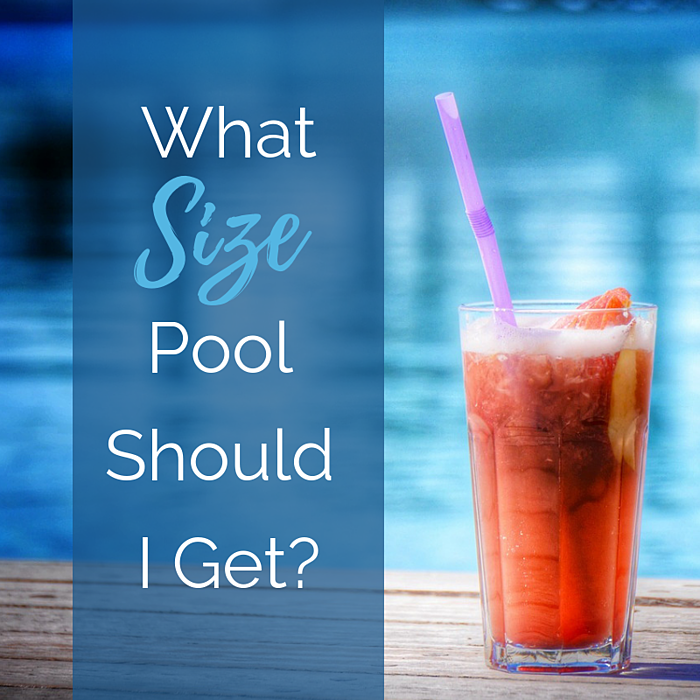 The water level in your pool can not go below 18” from the top, as a safety cover is designed to set down on the water with the weight of snow and ice. Without having the proper water level, the safety cover will stretch too far, placing undue strain on the cover and voiding the warranty. Mesh safety covers are designed to screen out leaves and large pieces of debris. Dust, dirt and other small debris will filter through cover into pool. 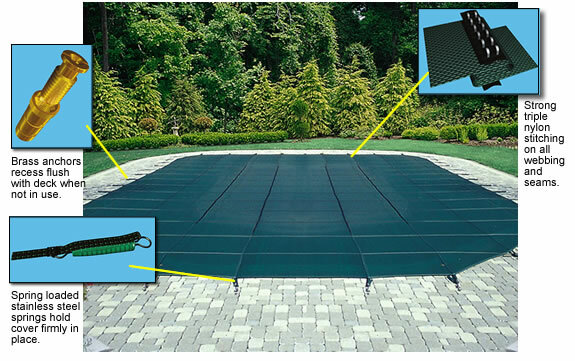 Algae will also form under mesh covers without proper chlorinization and winterization. 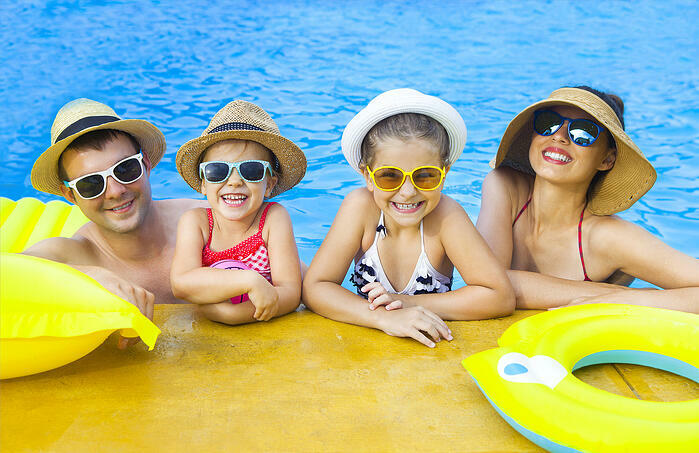 Solid safety covers with a mesh drain panel will keep most of the debris out of your swimming pool. Solid covers without the mesh drain panel must have an automatic pump on the cover and be plugged in at all times. Always store your safety cover in the supplied mesh bag when not in use. Also, store off the ground to keep mice and other animals from getting to the cover.